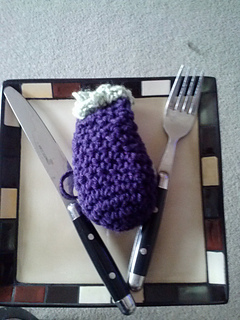 This pattern is for crocheted veggies. 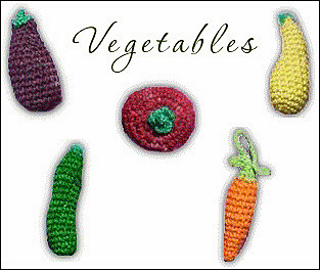 It includes instructions to make a tomato, zucchini, yellow squash, carrot, and eggplant. 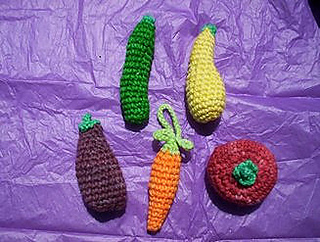 The veggies measure 3-4” each. These are all very simple to make and only take about a half an hour each!